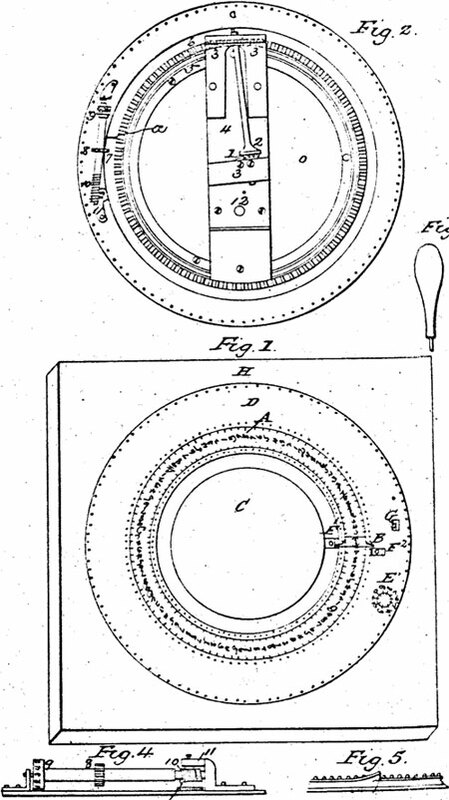 In 1849, William M. Haines of Rochester, New York, patented a mechanical calculator (US patent 6403). The patent model of the device (up to 1880, the US Patent Office required inventors to submit a model with their patent application) is still preserved in the National Museum of American History, Washington, D.C. (see the image below). This is the only survived device and it obviously never became popular. Almost nothing is known about William M. Haines. The city directories of Rochester mention in 1845 a civil engineer named William Haines, and in 1851, directories mention William Haines as a clerk. He could be the inventor of this early mechanical calculator. The mechanical calculator of William Haines is a wood and brass adding and subtracting device with overall measurements: 3 cm x 15.3 cm x 14.2 cm. It has a wooden base, a circular metal mechanism, and a single digit mechanical carry, implemented by means of an axle. 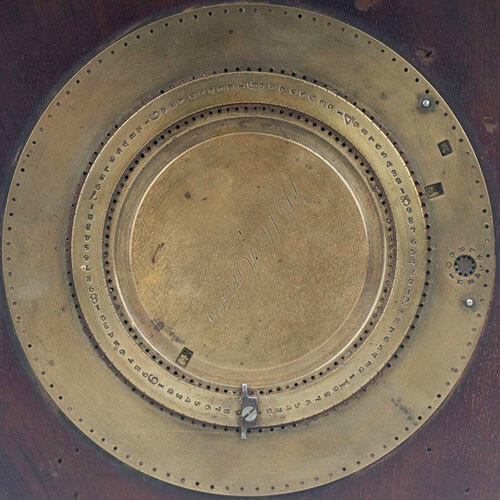 At the centre of the machine is a brass disc, having a hundred circular holes around the outside. Around it is a slightly elevated stationary circle or ring, with larger digits from 1 to 9 engraved around it, representing 10, 20, etc, through 90. Between each of these numbers, smaller digits from 1 up to 9 are engraved. There is a stop at 0.